Silver Jewelles Set with Bracelet and Necklace Black Agate Pearls. 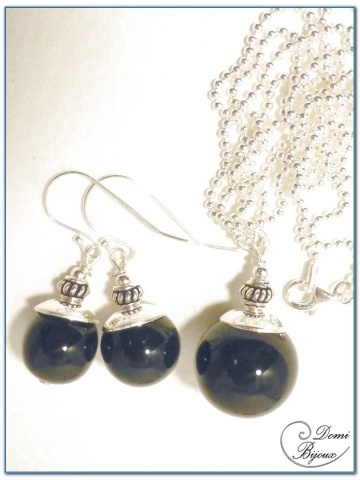 This two jewells are made with silver925 and black agate (or onyx, the same than black agate). Like all elements to make this set are silver925, there is no risk of allergie. 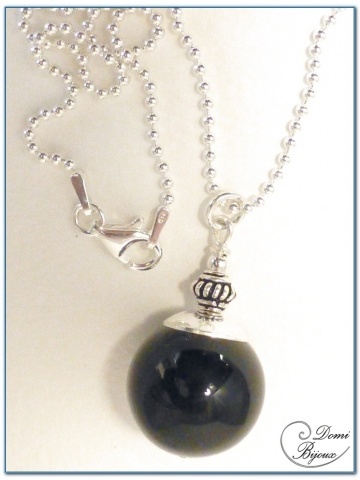 The length of the necklace in this set is 45 cm. So chic to wear together. 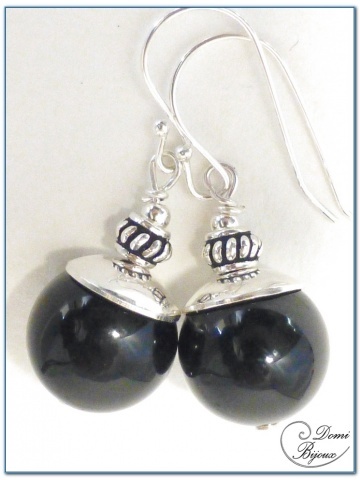 You will receive the jewels of this set in two cloth pouch closed by a link to store carefully.